With the German Centre Shanghai, in the middle of Pudong, a lively slice of Germany has come into being. This is where the heart of the German community of Shanghai beats. Here is where bilateral economic and business contacts are formed. 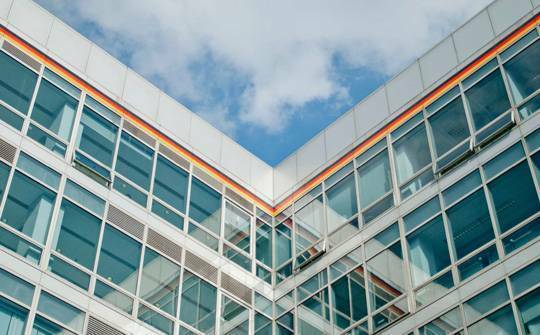 The modern, spacious building of the German Centre Shanghai offers international firms from a wide variety of industry sectors all sorts of possibilities for working, networking, and doing business. 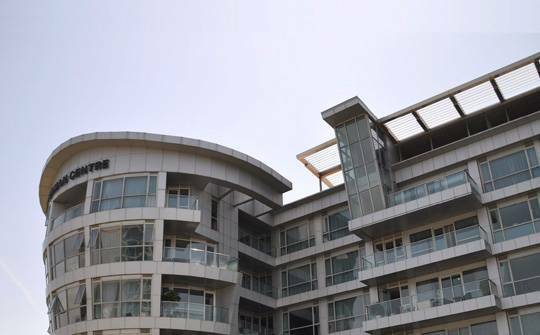 Surrounded by much greenery, it is located in Zhangjiang Hi-Tech Park at the heart of Pudong. 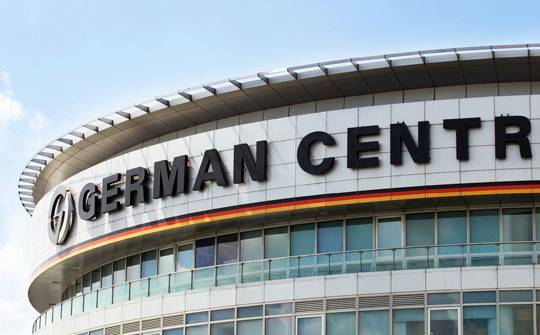 The German Centre Shanghai offers, on approximately 30,000 square metres of space, office space in small and large units for lease, along with event space, a Business Centre, and numerous recreational facilities for use. The German Centre Shanghai includes all the services that make for a successful entry into the market in China. Whether a newcomer or established company in China, you will profit from the network of various German companies under the roof of the German Centre Shanghai. 30,000 sqm of modern office space. 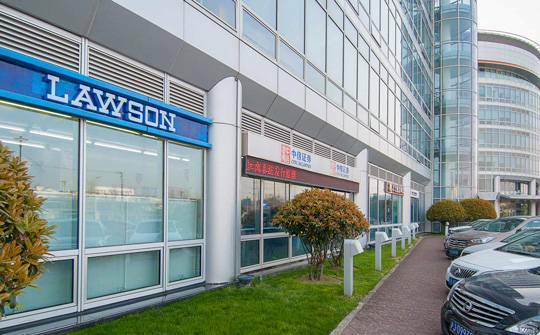 Office space available from 29 net sqm to over 1,000 net sqm. 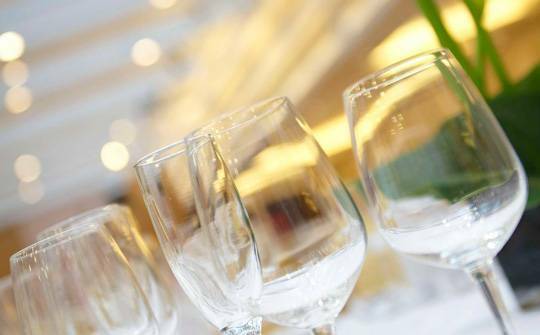 Meeting and celebrating in a relaxed atmosphere — that is what the German Centre Shanghai conference rooms offer you. The modern apartment building of the German Centre Shanghai offers an optimum work-life balance at the heart of Pudong. Whether bank, travel agency, tailor, or café — at the German Centre Shanghai, you can expect to find much more than just office space. There is always something going on at the German Centre Shanghai. 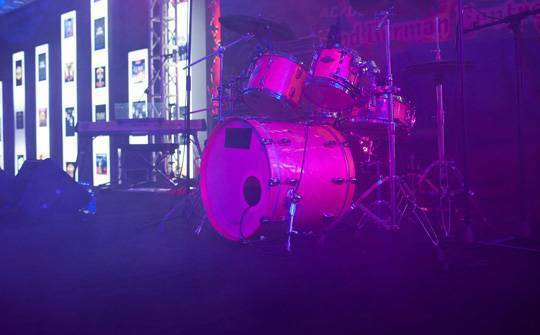 There are many opportunities to meet, network, socialize, or just to have fun. Owing to the concentration of services in one spot in Pudong, the principle of “short distances” holds good, ensuring that German companies do not lose any time making the leap to China. This concept has thoroughly proven itself from the opening day of the German Centre Shanghai. The mix of tenants in the German Centre Shanghai office building consists of small and mid-sized German companies which are complemented by several international corporations. Everyone profits from this interesting mix of tenants, which is rich in synergies as well.